Brand identity matters. It is what differentiates your business from your competitors, and it helps consumers attach their thoughts, opinions, expectations and even feelings to your business over time. Brand is a product, service, logo or concept that helps consumers to distinguish one from other products, services, or concepts. It provides consumers a psychological island upon which experiences with your company take place. When people see the product or logo again, they are reminded of those experiences. On the other hand, Public Relations is defined as maintaining a favourable public image through relationships with the public and the media. It can also require mitigating a negative public image. Brand and PR have traditionally been seen as separate disciplines. Brand makes a product or service, and the business promoting it, recognizable and distinct. PR makes sure products and services are considered favourably by customers. It is easy to see how in the 21st century – an age of total media penetration, social media influencers, 24/7 news cycles and internet virality – the two disciplines are now becoming far more integrated. Today, we’re going to discuss how to achieve a brand building public relations strategy by looking at some of the best examples in Southeast Asia today. We’re then going to break down how you can do this yourself, with a step by step guide to developing your brand identity through applied PR. Because Southeast Asia is still defined as a developing economy full of untapped potential, best-practice approaches like these are being employed more effectively by the biggest brands to maximize their market share. In 2015, the Top 100 most valuable brands in SEA were growing at double the rate of the top 500 brands worldwide. This extraordinary performance was driven by hybridizing brand with PR. Doing so revealed a few key principles that helps these brands scoop up hordes of loyal followers, increasing their business. KFC and McDonald’s dominated the market in Singapore, Malaysia and Thailand by using a greater degree of Personalisation. They created locally specialized menu options designed to best appeal to audiences in targeted regions, based on their existing preferences. Purpose is also essential to these top performing brands – differentiating the “why” that fuels their work, of which the products are just individual expressions. One example from the top performing brands would be, Nivea. Their purpose is to “Care for family” – with a range of skincare products for children, young adults, and anti-aging beauty solutions for older generations. They created Blue Libraries in Southeast Asia to help care for families’ educations – a PR move that reinforced the brand values and made them feel authentic. Experience has also been a key indicator of success for these major brands – and PR can be of vital help with this. Experience is defined by two factors – personalization as we’ve seen above, and touchpoints – the further a brand can reach to reinforce its message, the more penetration it has, the richer an audience’s experience of a brand can be. 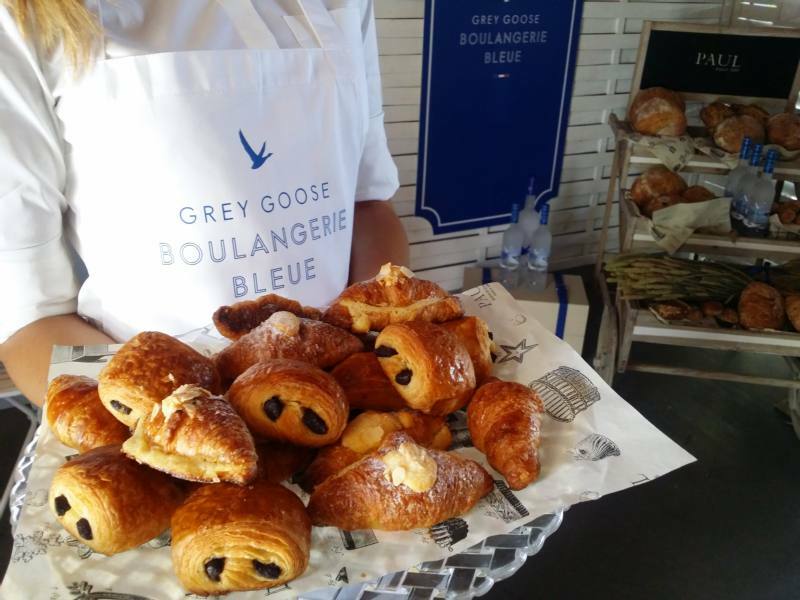 Grey Goose vodka opened up a series of bakeries to create bread using the same ingredients as they use in their vodka. This created an entirely unique experience in a new touchpoint. Louis Vuitton has created a glass island in Singapore. Singapore Airlines has a patented scent on their complimentary hot towels (named Stefan Floridian Waters, in case you are wondering), utilizing the most powerful sense for memory and emotion. Creating experiences and new touchpoints can be much simpler than this, but it is no less essential to do so, even as a small business. PR can help you maximize your touchpoints by putting your brand out there on hundreds of newswires, searched by thousands of unique daily visitors. The stories you share through PR, when aligned with brand values, create new experiences of your company for potential customers. Once you have these touchpoints, they have to stand effectively together, and that often means Collaboration Between Departments. If you have a brand department, a marketing department, a PR department, a social media department… you have to integrate your messaging so it is consistent across all these touchpoints. PR is the best department to head up this strategic drive, and ensure the media conversations around your campaigns can align strongly, because the campaign itself is aligned strongly. Millward Brown Vermeer is a consultancy actively working with clients in SEA to breakdown the ‘silo’ effect in modern businesses. Finally, Transparency is essential. A brand with nothing to fear has nothing to hide. Creating an open dialogue with consumers and addressing their concerns with honesty and integrity is something we touched on recently, and its importance can’t be overstated. In the 21st century, people want to buy from brands who align with their personal values. These include moral, humanitarian and progressive ideologies. Trust in business of any size is now hard-won by demonstrating that you ‘walk the talk’. Having a brand image of transparency is not enough, and PR can help you increase you transparency and live by it. McDonalds has created a worldwide campaign of transparency based on addressing rumours about their products and mythbusting them. So, from this you should have a better idea how to create brand identity that can function in a PR driven world: Purpose, Experience, Personalisation, and Transparency. Now, we’ll look at how you can create a brand building public relations strategy that will put all these elements to work. Creating data gives you a valuable resource for journalists, analysts and commentators, all of whom command influence with audiences. By creating data that relates to your sphere, you position your brand as an expert and an authority. Because you generated the data, it is ‘exclusive’ to your brand. Exclusive insights are reserved for industry leaders, so by producing them, you can help your business become one. If there is any trend taking place in how customers are responding to your brand, capture data that can evidence that trend. Then create a perspective on how this has implications on the wider industry. Then proffer your solution to this challenge, or your exploit of this opportunity. This means small day to day operations in your company can snowball into an industry wide conversation. Exposure that comes with transparency and experience. How does your brand impact people? If you’ve had a positive impact, chances are eventually a customer will drop an email to tell you about it, or comment on your Facebook page. This represents an opportunity to create an experience with elements of personalisation. We probably all know what your product does in linear terms, but what does it make possible for the customer? Talcum powder may prevent nappy rash, but it helps both mother and baby get an invaluable and rare full night’s sleep. Equally, your story could be about how employees are treated – a recent CEO supporting a worker taking a mental health break made headlines across the internet. This supports transparency in marketing, and affirms the brand as sharing the values of its customers. Any story that presents your company’s culture as admirable will help customers to trust you. Contextualizing and humanizing your brand is something that will always gain traction in PR. News stories are just that: stories. Journalists are the storytellers of the real – they create lenses through which we can reduce the overwhelming data of the day into easily comprehensible stories will familiar formats. If you do this work for them by creating a PR release with all the right elements, a positive story about your brand will fly across the media. You can tell people how good your product is until you’re blue in the face, they won’t be convinced, because they expect you to say it’s good. An endorsement is someone else saying it’s good, and this can have a huge impact. Especially if that someone is a trusted source of news, information or expertise on the subject matter. The reason film critics establish a following is because people trust their judgment. Endorsements come in many forms – from customer testimonials and social community building to celebrity and athlete signings. Securing any form of endorsement can be enough to start you on your path to PR traction, because endorsements serve as confirmation of your business’ claims. Ben and Jerry’s banned anyone from having two scoops of the same flavour ice cream in Australia until the country made gay marriage legal. This is a perfect example of thought leadership, where a brand has expressed its values in a consequential way on an issue that matters. Many believe businesses have more influence over governments than the people. Many more believe businesses have more influence over people than their governments. This suggests that businesses have an incredible potential to influence world events. At its essence, thought leadership is taking bold actions informed by the expertise, passion and values of the brand. This can be through innovations, policymaking, new product development and more – but it must be informed by tackling major issues of the day in a manner that makes sense with your business. Dove created the real beauty campaign to differentiate their product from cosmetics brands and support body positivity. Nivea created the Blue Libraries we mentioned earlier to provide education to those who needed it. Kenco created Coffee vs Gangs to get vulnerable people out of violence and into gainful employment. There are countless examples of brands throwing their weight behind a cause, and for good reason. It is a way to inspire people and to express the company values in a highly positive way. More importantly, when played right, defining and producing these materials can have an impact far beyond the cost it takes to create them. In the best cases, the return on investment on these campaigns can last for decades. The only way this approach can be leveraged for the benefit of your brand is to do so through PR – no cause will have an impact if no one knows about it. By leveraging PR to support the cause, you create a brand event that can make consumers want to fly your flag by buying your products. Public Relations Is Ready – Is Your Brand? The success of the examples above, and the increasing use of these techniques by businesses around the world, shows that the PR world is hungry for more brand identity work to showcase. All you need to do is produce it. 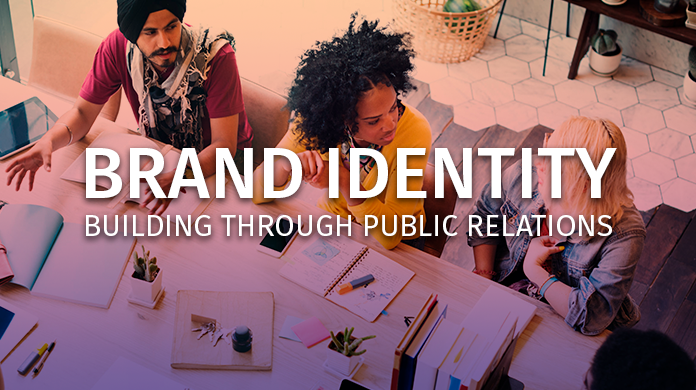 Once you have, PR can do so much more than build your brand identity – it can create a legacy that transforms brand perception, and with that, your customer base and sales. So get out there. Establish your brand identity. Create a story, a cause, a policy, get an endorsement, create a study. Then tell the world about it. Use press releases, syndicated across hundreds of high-authority domains, optimized for the Southeast Asian and global markets, attracting journalists and members of the public alike. Use PRWire Asia, and let press releases breathe new life into your brand.